the first little note is from ann turner, one of our caregeivers who also works with wild intelligence. "One of the many beautiful things about winter is that the trees are missing their leaves and you can see unimpeded through the canopy. It's a ton of fun to play "I Spy" and try to trace the sound of the bird call to the creature in the tree. Also you can get great visuals of bird and squirrel nests and build replicas. Also, talk with your children about what its like to live in the winter without warm coats and heaters and puzzle over how birds might survive. Here are some ideas for creating cozy winter homes for birds to use. Another fun activity is to build little peanut butter pine cone feeders to hang outside to help the little ones pack on extra fat to get through the cold months. While working at Arrow, I will sometimes pick up a child who is having a tough day and take them to the window or out in the yard and point out the birds... each time they are instantly fascinated and tears are quickly replaced with smiles. " "a great way to get the little ones out of the house even when it's cold/rainy is the Botanical Gardens. their green house is cozy and warm and it is fun to look at all the plants, walk/run around a bit (there is space for that and until now nobody complains about Luuk) and it has Dondero's cafe with coffee and lunch items for moms, dads or whoever is on kid duty. We often combine a little hike outside with some warm up time afterwards and a coffee for me. 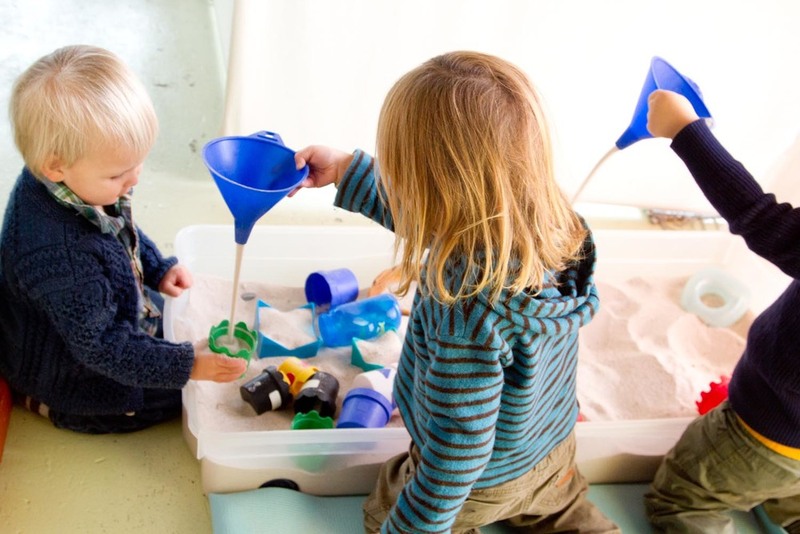 also, all sorts of water play are great - if you are not too worried about making a mess, play sand in a big plastic box (those under bed storage ones are great) and a bucket of water make a great baby/toddler sensory activity. You can hide stones in the sand, to dig for, explain what wet feels like, that dry sand runs through your fingers while wet sand sticks together, build tunnels and let water float through...It will keep them busy for a while and can be done even if you don't have a big back yard."